Meopta Eye piece for the S2 82 HD Spotting scopes either Angled or straight. Specifically designed for the MeoStar S2 82 HD spotting scope. 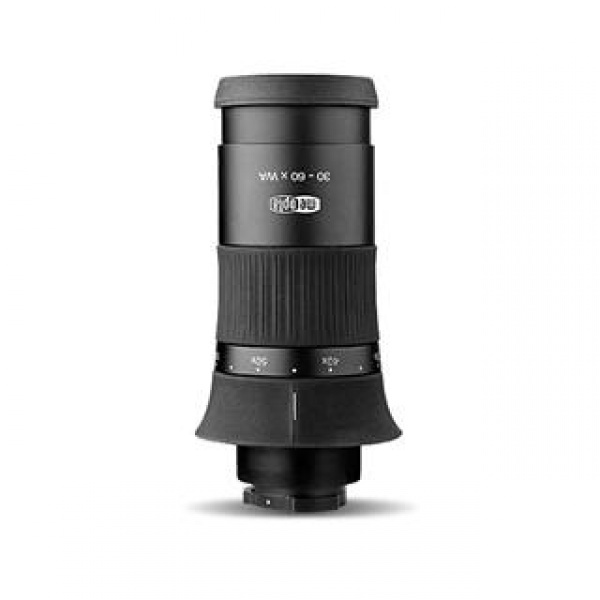 Provides a constant 66Ú subjective field of view through the entire magnification range. Optimized for the absolute widest field of view and sharp to the edge image. Push button, quick release bayonet mount. Twist-up eyecup. Nitrogen purged and waterproof. Purchase through PayPal by using the "Add To Cart" button above or use the form below to order the Meopta HD S2 82 Spotting Scope eyepiece x30-x60 W/A . Feel free to contact us if you have any questions about the Meopta HD S2 82 Spotting Scope eyepiece x30-x60 W/A .